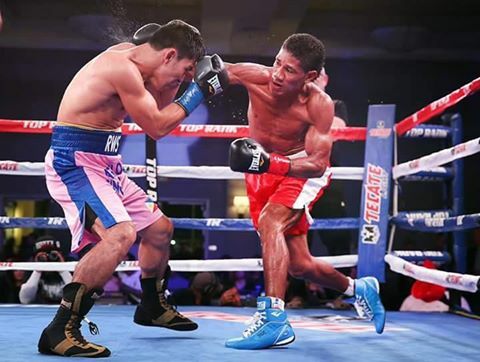 California USA: Filipino fighter Adones Aguelo loses to Miguel Marriaga of Colombia, Adones was the aggressor but Marriaga wins via Unanimous decision. Marriaga uses his speed and footwork to outboxed the Filipino fighter. Mexico: Filipno fighter Aston Palicte defeated by the Mexican fighter Junior Granados of Merida, Yucatán, Mexico. Aston who seems dominated loses via questionable split decision over the Mexican opponent. In Japan: Japanese figher Go Onaga dominates Filipino opponent Renoel Pael. Judges scores: 99-90,99-90,100-90.